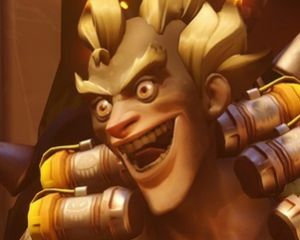 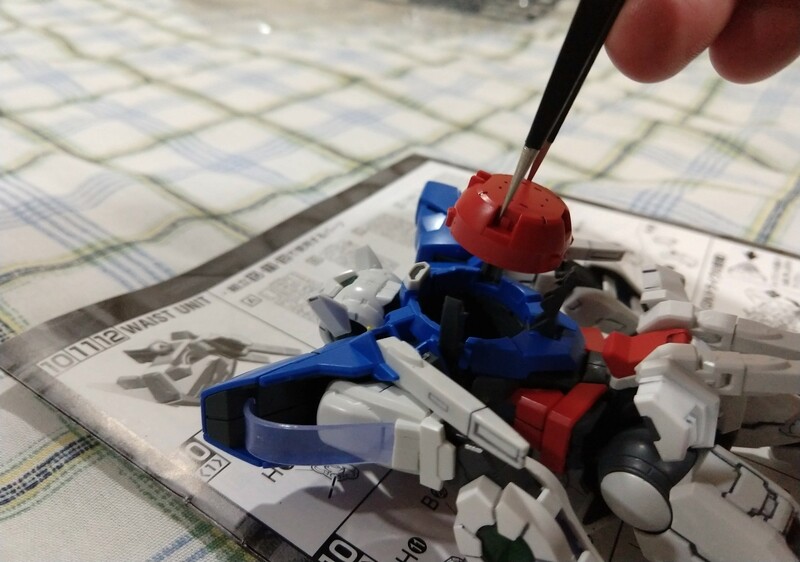 Recently I had to prep for medical stuff and therefore had 24-hours to kill. 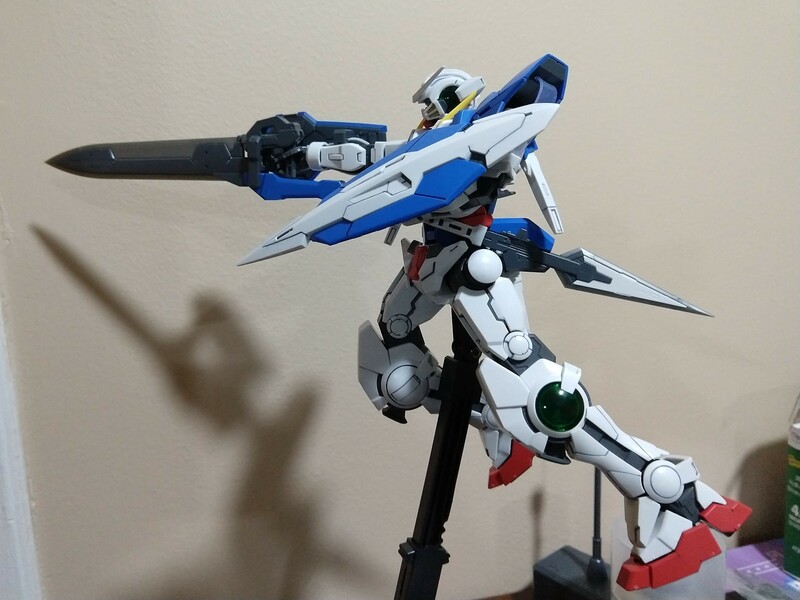 So I set myself up and built a Master Grade Exia kit over about 12 hours + 2 more later for the weapons. 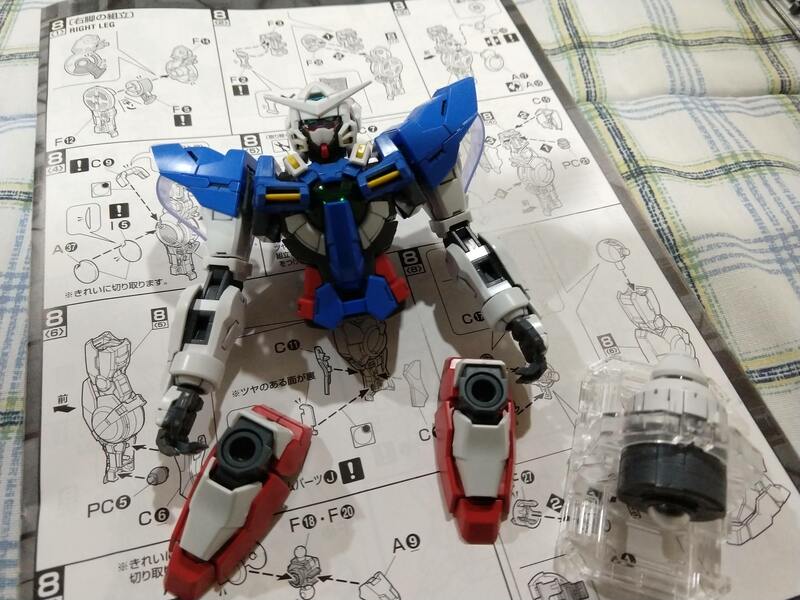 This was my first Gundam 00 kit after previously building 2 Gundam IBO kits. 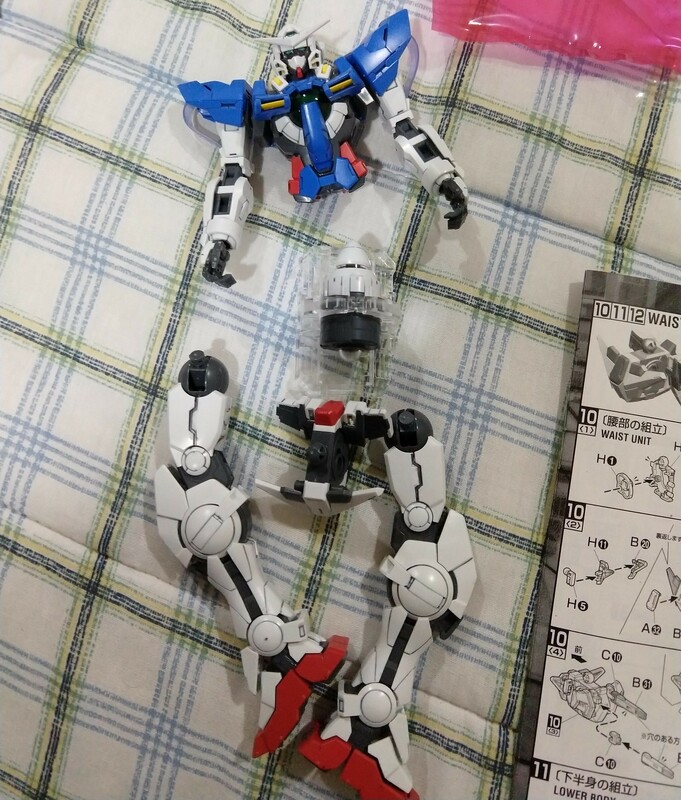 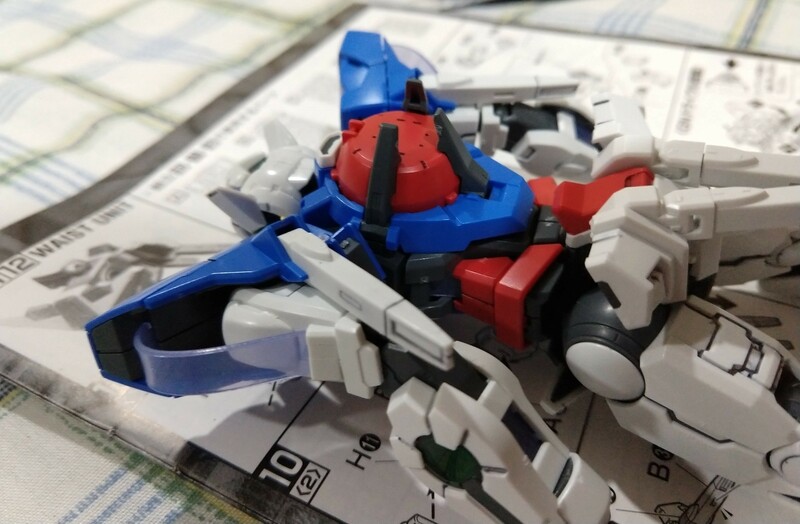 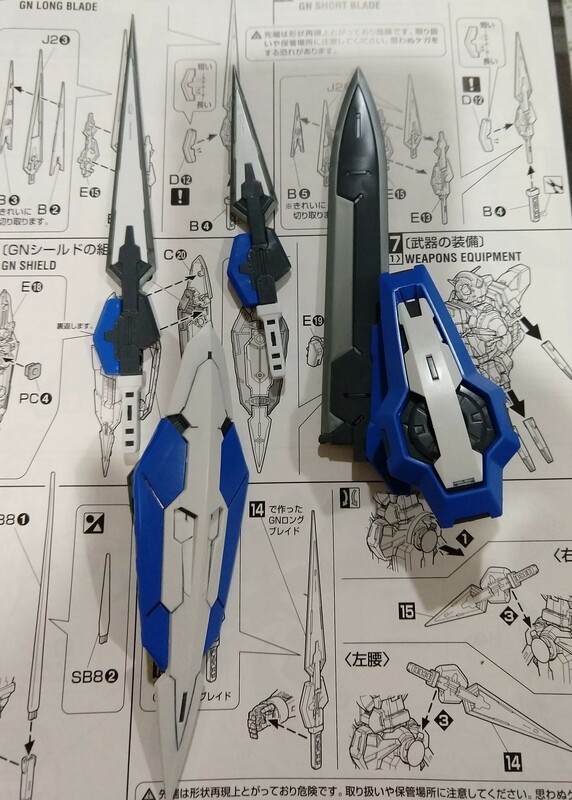 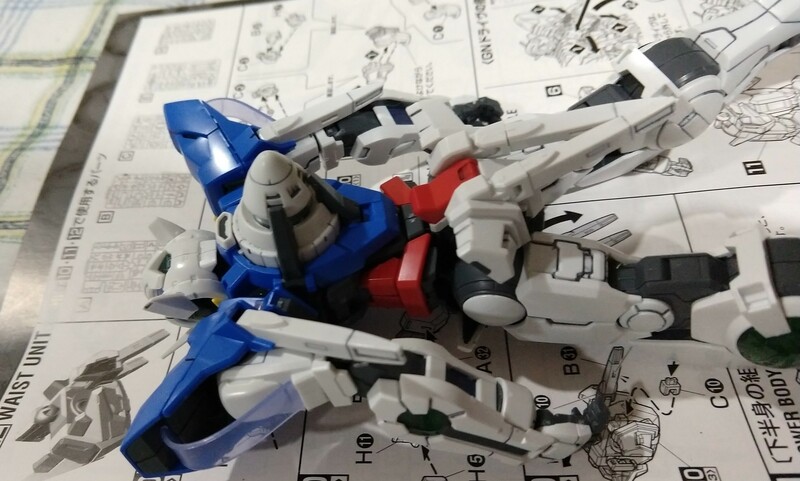 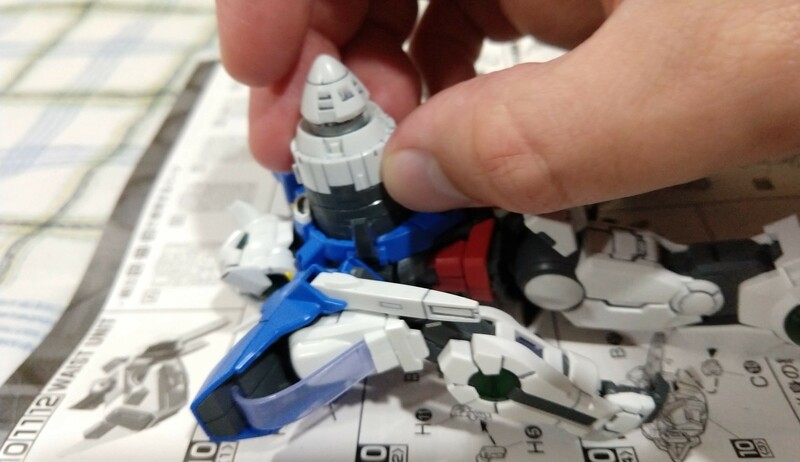 The Exia, being very thin, has a different build process. 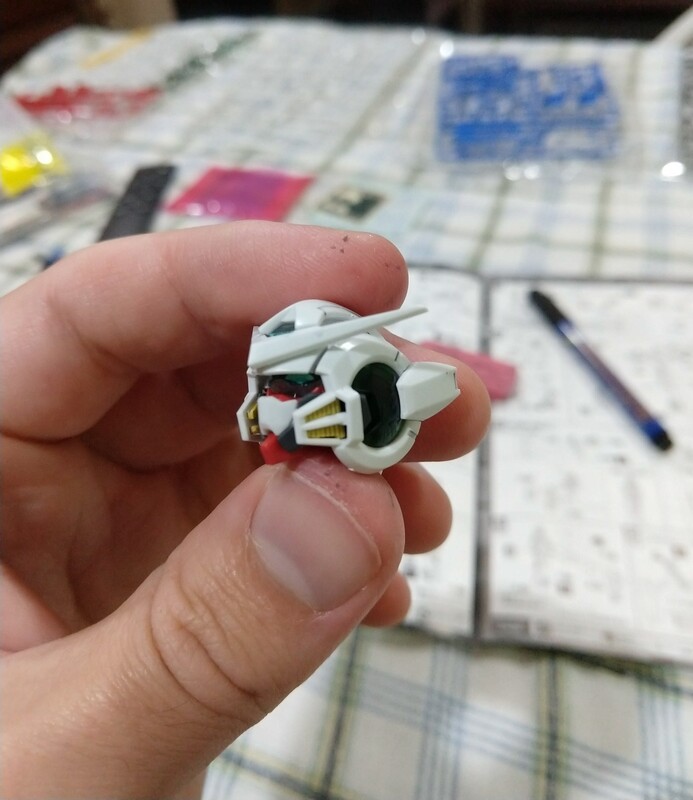 The IBO models both had an inner skeltal frame, kinda resembing a T-1000. 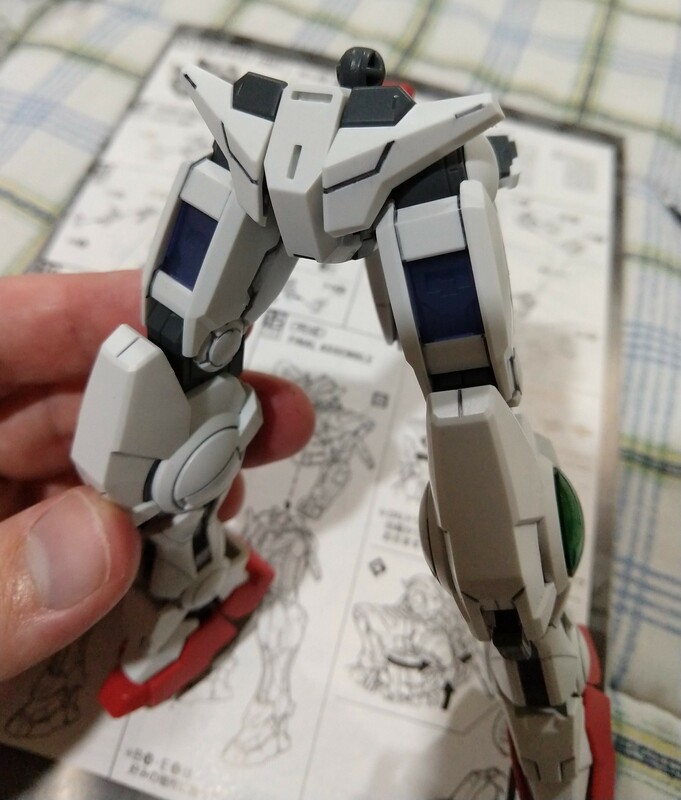 For this one, you build the limbs, head, pelvis and torso separately, then snap them together. 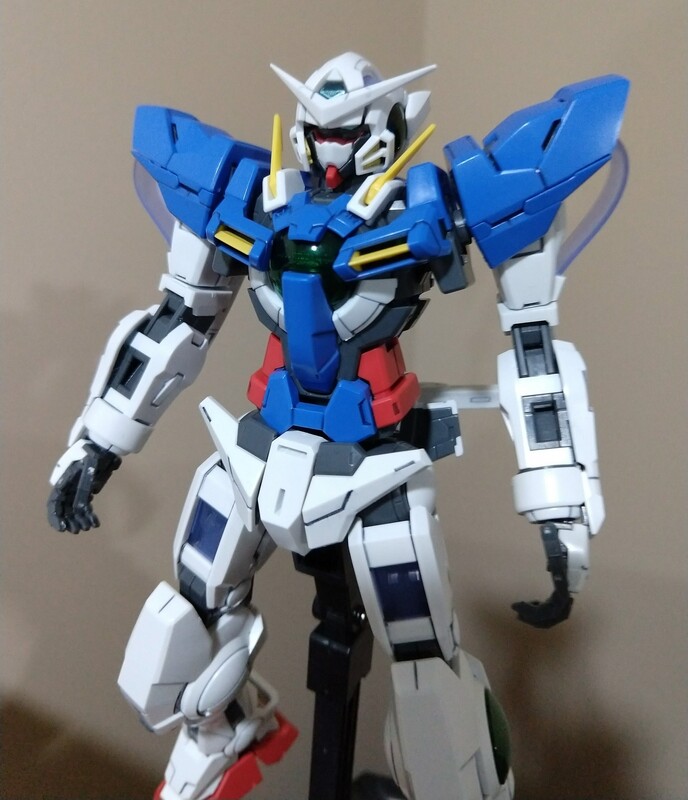 The Exia introduced some new elements for me. 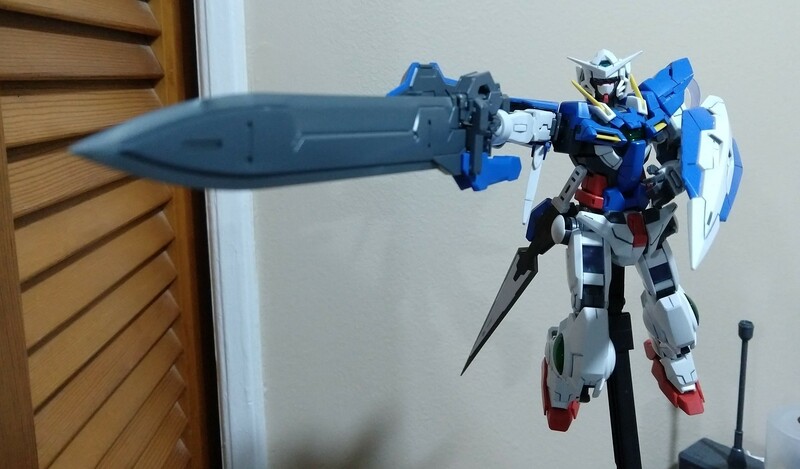 We've got clear gummy-windows, a removable GN drive (the engine, sorta), and an arsenal of weapons that almost seems over the top. 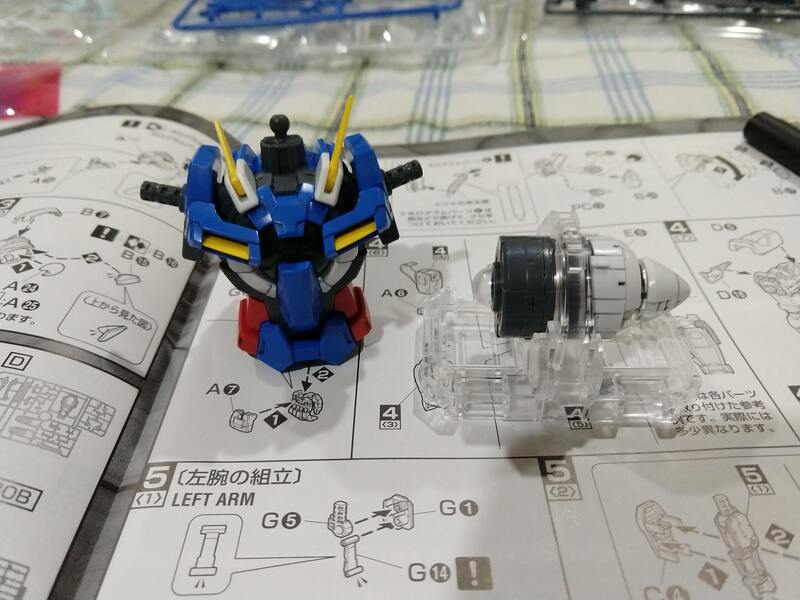 But enough prattle, here's pics.